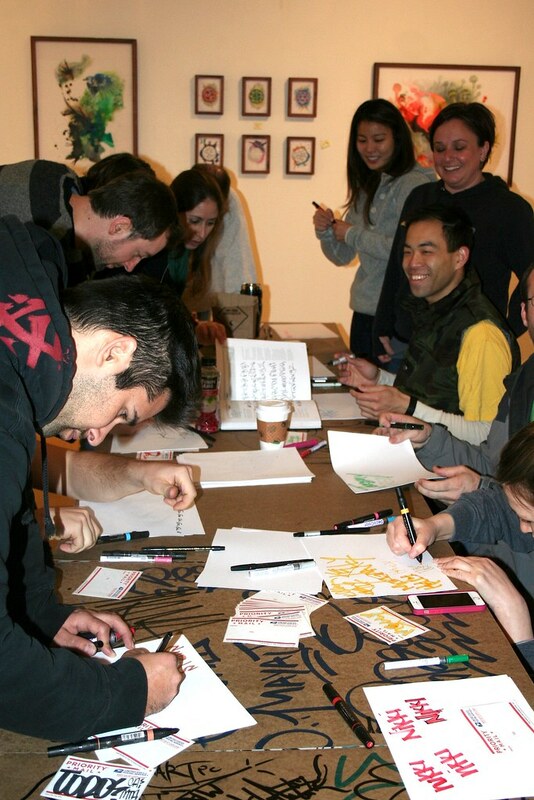 Apple visits 1AM for an exciting mural creation workshop! Home/Classes, Community, Mural Production, Team Building Workshops/Apple visits 1AM for an exciting mural creation workshop! Apple brought their humor and skills to one of our team building workshops and got to take home their very own mural for the office! 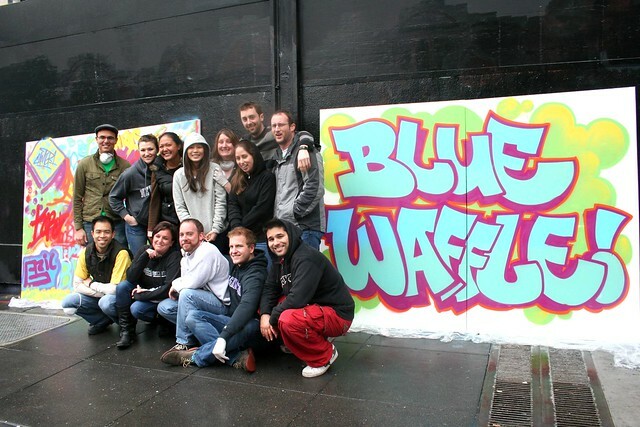 Email privateevents@1AMSF.com to setup a time for your team to paint your own take-home mural.